How do you paint a picture of infinity? How do you dance about death? How do you draw a diagram explaining entropy? 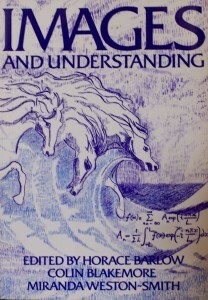 Images and Understanding explores the human problem of moving facts and ideas from one mind to another­ ‐ the problems of how we see and communicate using images expressed in pictures, diagrams, words, music and dance. Buy Images and Understanding on Amazon.